Me-When was Team Hind formed and by whom? They-Team Hind was formed by Govind singh(indcyberjocker) and Vikash pandey(vikyp) 2 years ago. Me-What type of skills do all the members have? They-All members are either hackers,coders,programmers,developers etc. Me-Which teams or countries are against Indian cyber space and to which team, Team hind is against the most? They- Countries like Pakistan,Nepal and sometimes China are against indian cyber space and our biggest enemy is PCA.They are against India due to some political reasons. Me-What did you except from Indian govt. ? Me-Which hacker teams are working as same as Team hind? Me-May I have the cyber name of all the members of Team hind? ANONFIGHTER ! An@n ! cupid ! Cyber_Don ! Cyber_Buddy ! CYBA TIGER ! Cyber_Defacer ! Cyber_Don ! D3AD_SEC ! R4HUL ! SURVIVOUR$ ! TERM!NAT0R ! Hacker_Herok (JAI AAI AXOM ) ! Spakwv root ! Mr. HaX ! Neo Hacker !INDI4N L33T ! Sleeping_lion ! injector devil ! error_404_indi ! ind code ! indcyberjoker ! vikyp ! red_dragon ! cyber w0lf ! z3r0 ! 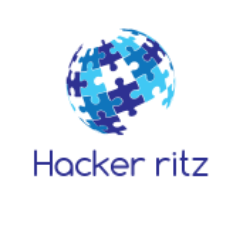 Hacker Ritz ! BROWNSPID@R ! SPIRIT ! I salute Team Hind and all Indian hackers for protecting Indian cyber space..